Galerie des Glaces, Versailles Palace. The magnificent palace and gardens at Versailles have been the setting for at least 175 movies. Most of them have nothing to do with history. Versailles has been used as a backdrop for comedies, thrillers, and especially romantic movies. It is used by directors a recognizable visual code depicting luxury, extravagance, grandeur, frivolity,luxury, high culture, aristocracy and romantic affairs.However, this site focuses on Versailles as a setting for films about French history, especially those of the late 18th Century revolutionary period. 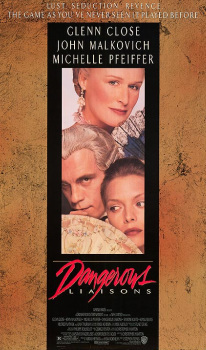 These films portray the privileged social and intellectual lives of the 18th Century French aristocracy and suggest their disastrous effects on the nation. The 2001 movie 'The Affair of the Necklace' is about a scandal that rocked the court of the royal couple. At least thirty films have featured the royal couple. The four below each take a different perspective. Sofia Coppola's controversial 2006 film compared the culture of the royal court with modern American celebrity culture. 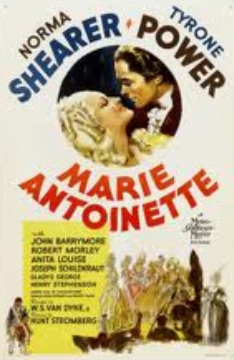 Released in the Uk and the USA as 'Shadow of the Guillotine' this 1955 movie was made in English and French versions, and starred the glamorous Michele Morgan as Marie Antoinette. Made in 1938, this expensive Hollywood biopic was a box-office success and featured Moira Shearer's convincing depiction of the Queen's final months. 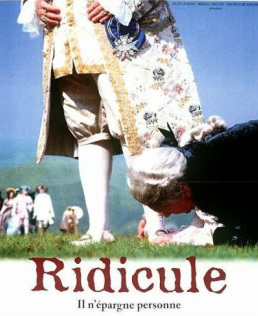 The great French director Jean Renoir's 1938 film about the French revolution focuses on ordinary people, but has a humane attitude towards Louis XVI. This 2012 French film, set just before the outbreak of the revolution, looks at Marie Antoinette and the Queen's court from the perspective of one of her maids. The 1832 Paris uprising is often confused with the 1830 revolution. The latter- called the July revolution - succeeded in overthrowing the reactionary Bourbon King Charles X, and replacing him with another monarch, the so-called "citizen king", Louis-Philippe, from the junior Orleans branch of the royal family. This revolution was immortalized by Delacroix' famous painting, "Liberty Leading the People", but posters advertising the musical drama "Les Miserables" and the climactic scene of resistance on the barricades reference the 1830 revolution, not the 1832 revolt which was crushed. The 2012 movie of the musical features the revolt occurring in an incredibly inauthentic set in which some barricades, flags, a large sculpture of an elephant and a motley crowd of street urchins and zealous students have been dumped in front of the incredibly English Greenwich Museum / Palace. 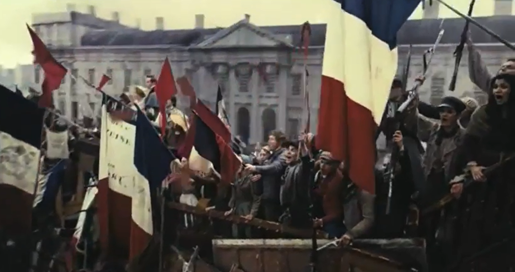 Greenwich on the Seine - a scene from Tom Hooper's "Les Miserables", probably the least convincing depiction of Parisian revolt ever put on screen. Delacroix' famous "LIberty Leading the People" - but it's based on the successful 1830 revolution, not the disastrous 1832 uprising.